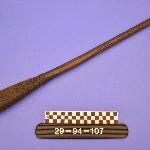 "Made at Buku by a very old man a long time ago." 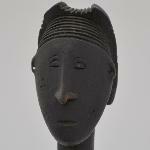 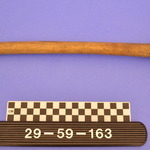 Round wooden stick surmounted by human head with small two-winged headdress ending in points at the bottom. 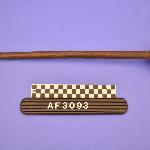 The other end of the stick has a rope drawn through it; above this rope. 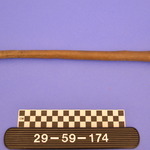 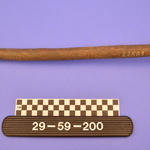 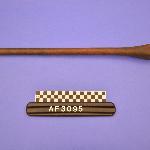 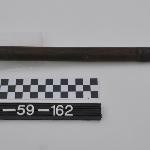 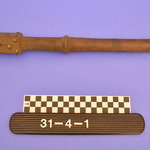 The stick for about half its length, is completely covered with metal bands; above these is a row of brass-headed nails.